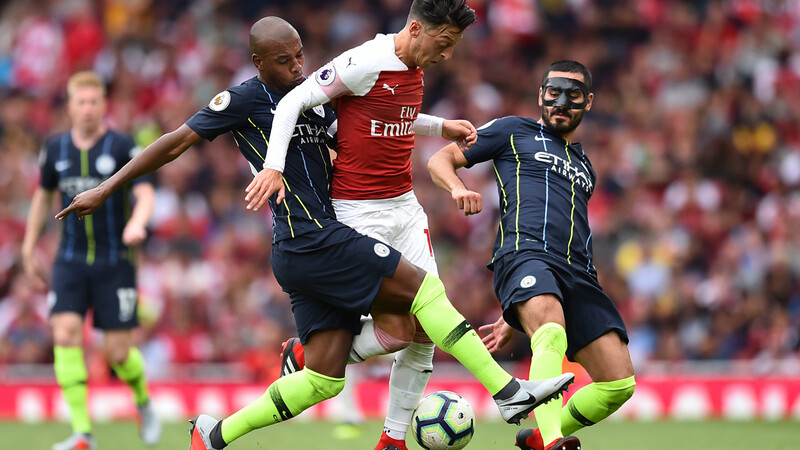 Manchester City boss Pep Guardiola said his players know how to eke out victories even when many are not fully match fit just as they did in getting their title defence off to a winning start with a routine 2-0 victory over Arsenal on Sunday. Goals by Raheem Sterling and Bernardo Silva sufficed in a match where Guardiola was able to call on the likes of Belgian star Kevin de Bruyne and German international wing Leroy Sane from the substitutes bench. Guardiola, who maintained his unbeaten record against Arsenal’s new manager Unai Emery with seven wins and four draws, said with most of the squad being together for two years they knew what it took to come out on top even if they aren’t in peak physical condition. “We have a lot of players with a lack of condition but we are more than two seasons together and know what to do,” Guardiola told the BBC. Guardiola, who opened the domestic season with a 2-0 victory over Chelsea in last Sunday’s Community Shield, said he was pleased to have emerged victorious in what on paper was a tough first encounter against one of the so-called ‘Big Six’. “Every season is a major season and this game was complicated but we played at a high level,” he told Sky Sports. “We created a lot of chances and out performance was good. We keep going. “We are satisfied for many, many reasons.